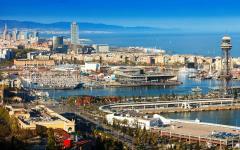 Spain has not one standout city but many, each unique and enticing in a way distinctive to the rest. The architecture provides contrasting backdrops, history is told through a multitude of legends, and the atmosphere is dictated by the vibrancy of a very localized culture. In France, you visit Paris; in England, you go to London, in Italy, you visit Rome; but to explore the wonders of the Spanish city, you must travel. This handcrafted luxury tour will take in ten exceptional and very diverse odes to the country unlike anywhere else in the world. 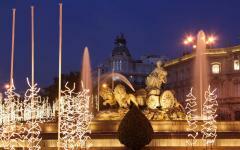 Begin planning your ideal Spain vacation by visiting the best Spain vacation packages page on Zicasso. In some European countries, there are unmissable city experiences. Imagine a first-time trip to France without Paris, England without London, or Italy without Rome. 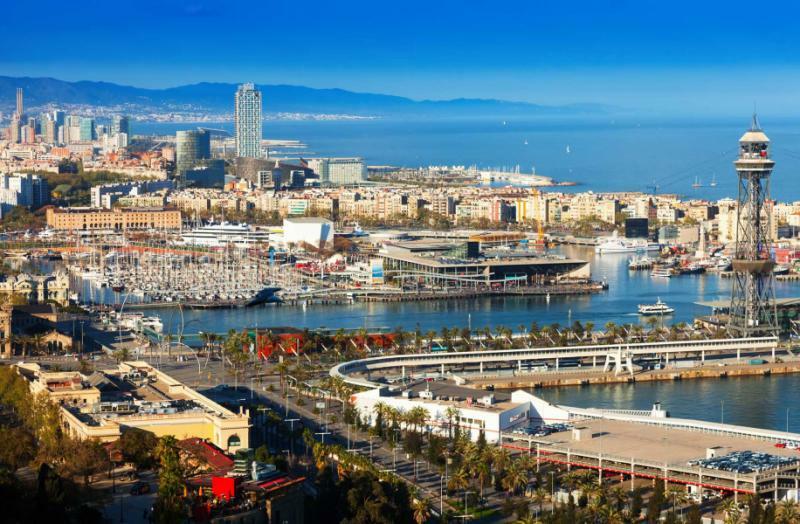 In Spain, there is no single defining city, even if Barcelona may make that claim. 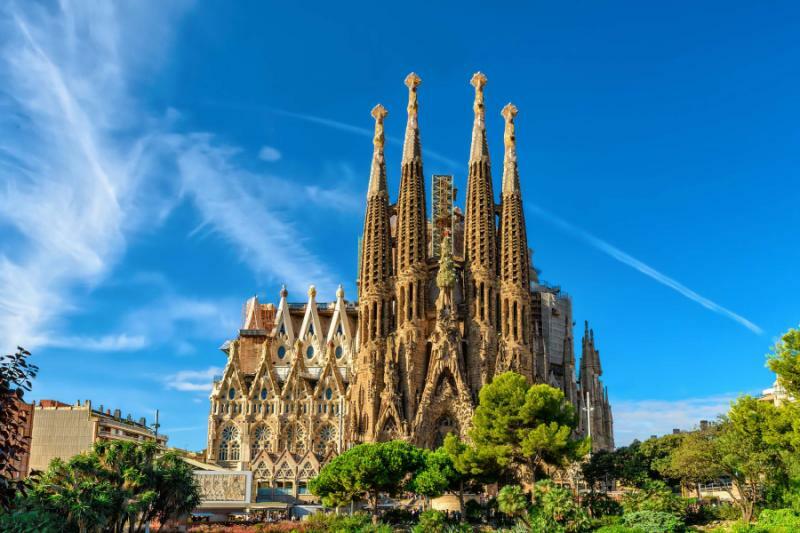 From Gaudi’s La Sagrada Familia to the exquisite Moorish alcazars, the architecture changes dramatically between the cities, each with a very distinctive design and flavor. From mountaintop perches to arid plains and Mediterranean waters, each city has its own natural backdrop. Each is blessed with a history of stories and fables that weave their way across cobbled lanes and central plazas. Cuisine and culture also vary drastically, inspired by a proud regional independence and demand for the unique. Across these cities, there is one piece of culture that frames everything and creates the atmosphere. 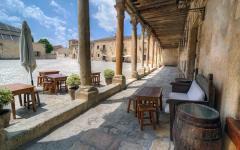 Languid hours are spent on al fresco terraces, and there is always enough time for another drink or plate of tapas. 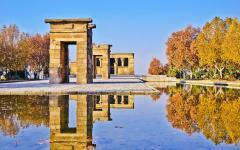 While these cities are distinctive, they also showcase the similarities of the Spanish experience. Visit Paris or London, and you must consciously search for the real city, but in Spain, authenticity comes naturally, and by visiting ten different cities, you will come to recognize that what ties all these places together is greater than what makes them distinct. 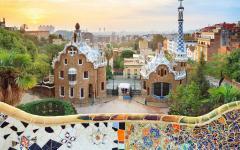 While ten cities in 13 days may sound like a lot, Spain is relatively compact and blessed with excellent transport connections, ensuring you move at a pace that is suited to the laid-back style of the country. 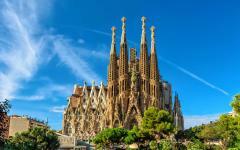 Start in Barcelona, Gaudi’s feats among the highlights of the Catalonian city on the coast. 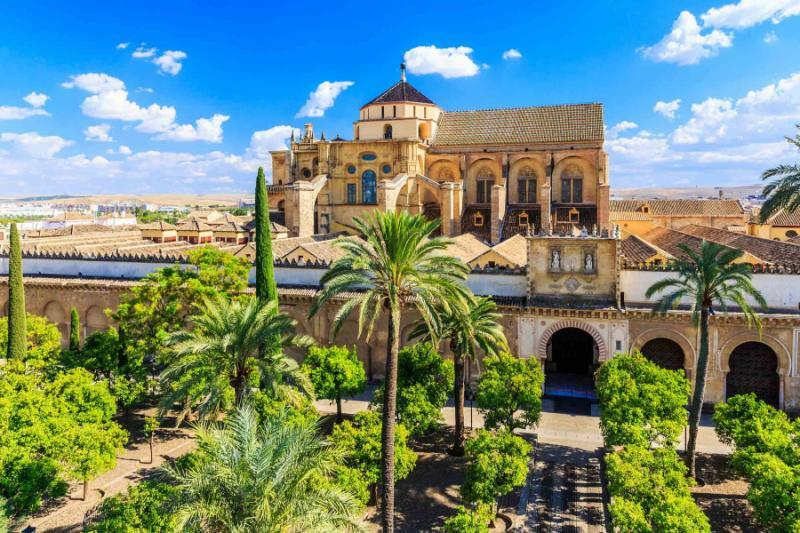 It is a short flight to Granada, a city of contradictions, grand yet gritty, held together by the Moorish Alhambra palace and a medieval legacy. 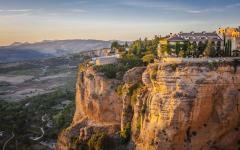 Spend a day in Ronda, 3,000 years old and counting, perched on a mountain above Andalusia. 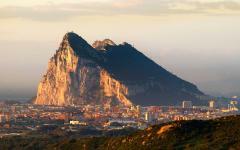 Contemporary culture marks a day in Gibraltar, where regional independence is magnified. 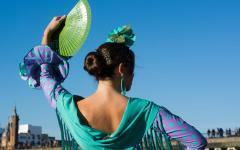 Continuing in the south of the country, you spend time amid the colors and energy of Seville. There are so many layers of history and culture to admire, from a night of flamenco to a canvas of artisanal design and color. 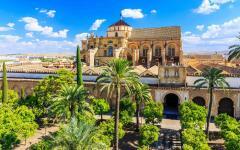 Stop in Cordoba, a testament to the beauty of old Islamic culture and the world’s most cultural city from 800 to 1000 AD. Art and royal palaces provide charm in Madrid, along with maze-like central lanes that make it feel like a sleepy city, not a capital. 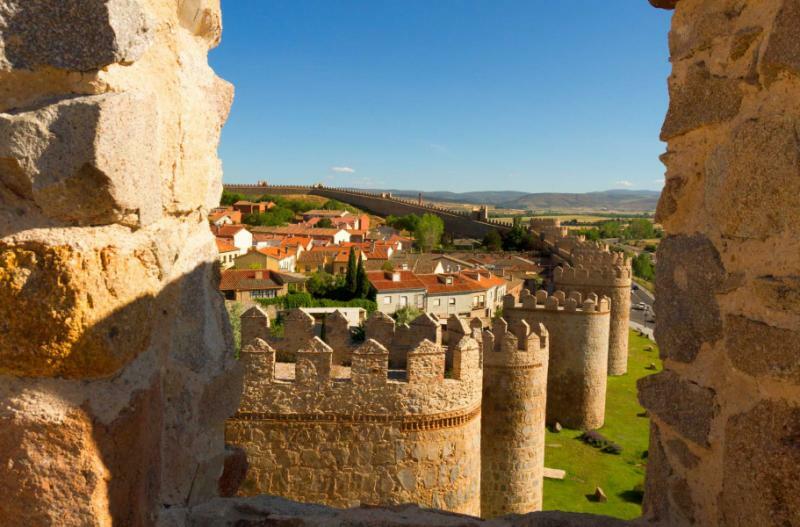 Then spend the final days on the central plains, first admiring Avila, a city enclosed by breathtaking medieval walls. Salamanca is a gem in the middle of nowhere, 800 years of refined design showing the juxtapositions of Baroque, Gothic, and Renaissance. Then you are off to Segovia which offers you a final hurrah, its Roman aqueduct still dominating the city after 2,000 years. In all these great cities, you are immersed in a legacy of the past that is etched with the fresh strokes of a changing country. Zicasso works closely with the best Spain travel operators to ensure that you have a fully customized trip of a lifetime. Where better to start than the cobbled lanes of history, the scents of Roman heritage etched into the heart of Barcelona’s Barri Gothic? The past and present merge seamlessly here, something that comes to the fore in almost all the cities you are going to visit. 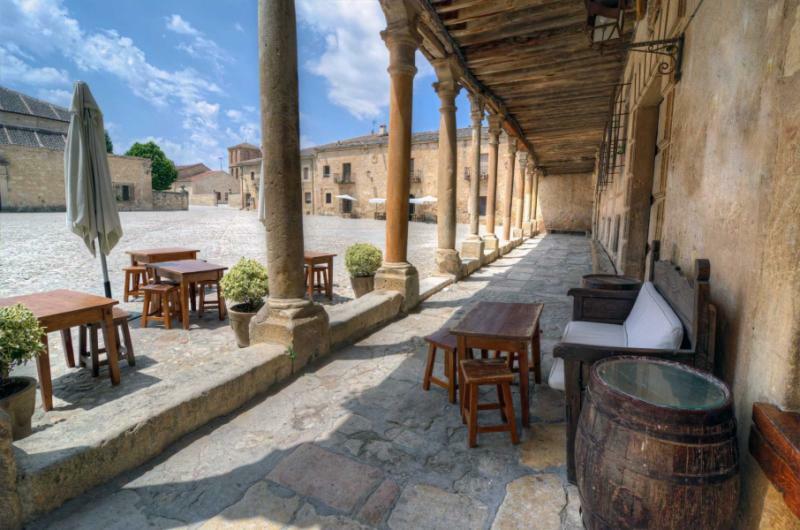 Wine bars are built into the remains of early monasteries, buskers play seductively beside epic stone cathedrals, and the chatter from terraces hums beneath buildings that slope with the demands of time. After a chauffeured airport transfer, the afternoon and evening are at your leisure, a hotel in the Gothic quarter allowing easy access to the lanes and sights at Barcelona’s heart. Gaudi’s notable creations are many, and so are those of his teacher, Domenech I Montaner. On this day-tour, you admire both architects, a world of art nouveau found in a hospital as well as in aristocratic homes and religious buildings. Admire mosaics of strange design, columns fitted with ghoulish statues, ceilings of symmetry and sublime grace, and the swaths of color that define the Modernist movement. Along the way, there is a chance to taste Catalonian olive oil. Start your exploration with tapas and sample a glass of local Cava (the Spanish bubbly that comes from Catalonia). 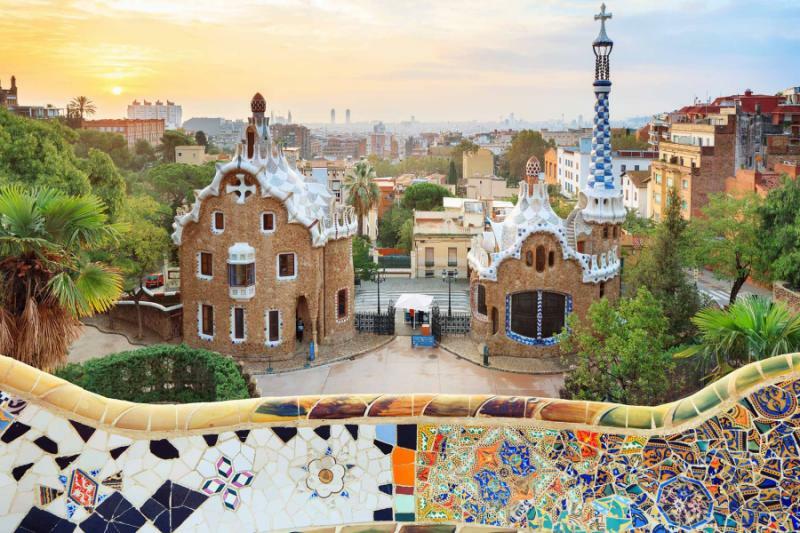 It is a full day of sights, culminating at the most relaxed of icons, Park Guell, where Gaudi’s design is complemented by insatiable views over the city. Spend a relaxed morning on the coast, perhaps taking a walk along broad golden beaches flanked by super yachts and Old-World cafes. Take a direct flight to Granada, and you arrive at the perfect time to explore a city that hums with cosmopolitanism and contradiction. Stunning Moorish architecture looks on, alluring and enigmatic, guiding you deeper into the narrow ascending streets. The extravagant Alhambra Palace best symbolizes this medieval stronghold of the Moors, an incredible level of detail discovered when you journey beneath the imposing facade. While the architecture provides the photos, it is the atmosphere that creates the memories. Granada is a city that can be edgy and enchanting on the same street and is a destination that mixes relics from history and the creativity of modern subculture. Such contradictions really come alive in the late afternoon and evening. In the morning, the streets are quiet, Granada feeling much more like a relic from history. Relax on an outdoor terrace for a morning coffee and take your time as it is only a short drive to Ronda, where you arrive for a typically late Spanish lunch at a restaurant high in the mountains. 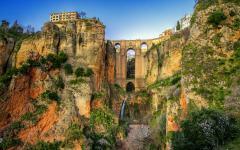 Ronda is perched on the mountain plateau, 29 centuries of myth and legend dancing down its streets. From bandits to Hemingway, palaces, mosques, and poetic squares, this is a city that seems to immerse you in folklore, rarely anything that is not the essence of surreal. An expert local guide picks up on the storylines in this small city, many of them told over a plate of tapas and a relaxed view over the plaza. An hour further south, Gibraltar reflects the modern facade of independence. All the cities on this tour delight in their originality, as do the regions. For most, this idiosyncrasy has already been written in the history books. 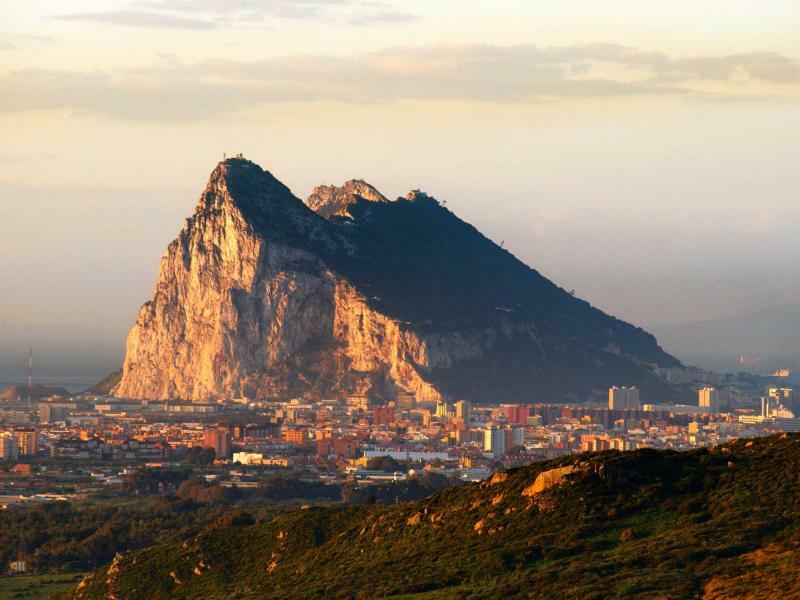 In Gibraltar, a new wave of creativity has emerged, the city-state’s independence being told in a contrasting way to the famous sight of the Rock and St. Michael’s Cave. 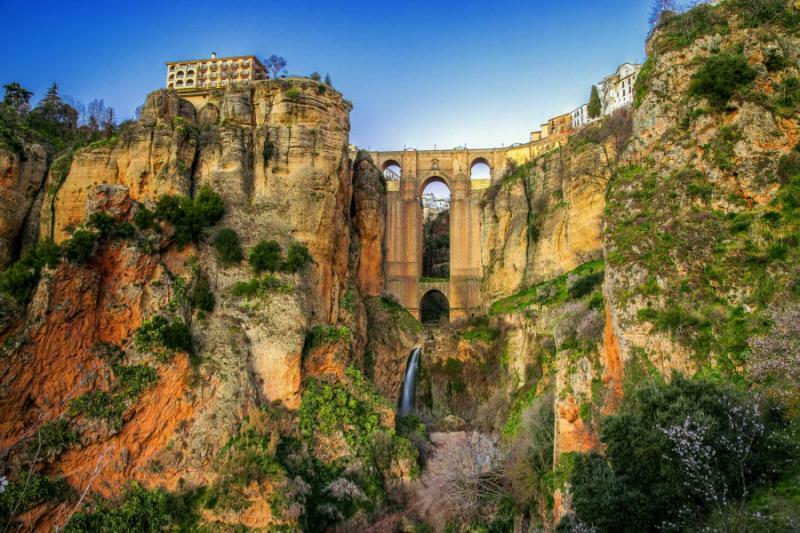 Spend the day exploring the city, then return to spend the night in Ronda, stopping off at one of Andalusia’s Pueblos Blancos (white villages) en route. 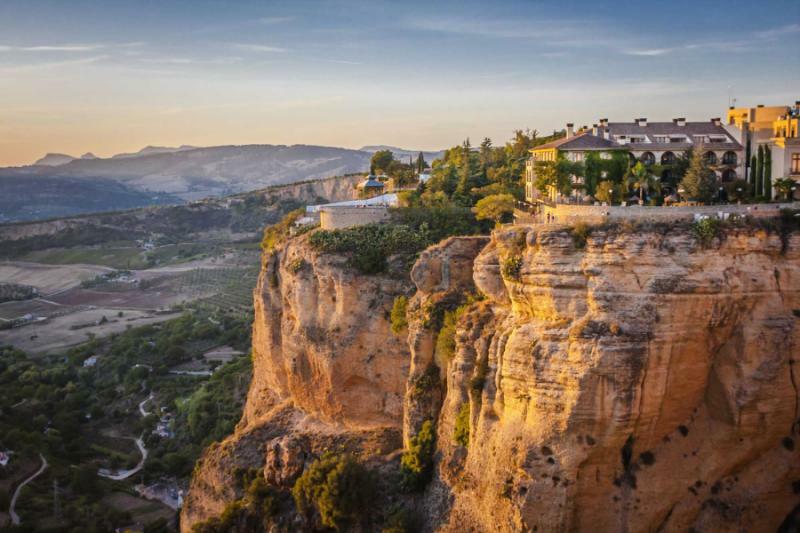 For a relaxing evening, there are few better places in Spain than Ronda, the fables seeming to float around even when you are simply lounging on one of the al fresco terraces, enjoying distinctive Andalusian tapas. 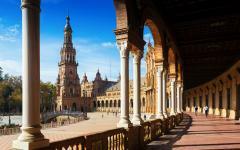 Seville has its sights, and you will witness many historical layers peeled away when you wander the center. Columbus is buried in the cathedral, which stands peacefully beside memoirs to the Moors. Along the river, there is a sense of Colonial glory, dominated by the wealth brought back from the New World. The guide also takes you to a more distant past, chronicling a city founded by Greek god Hercules and the sun-drenched plazas of Roman design. 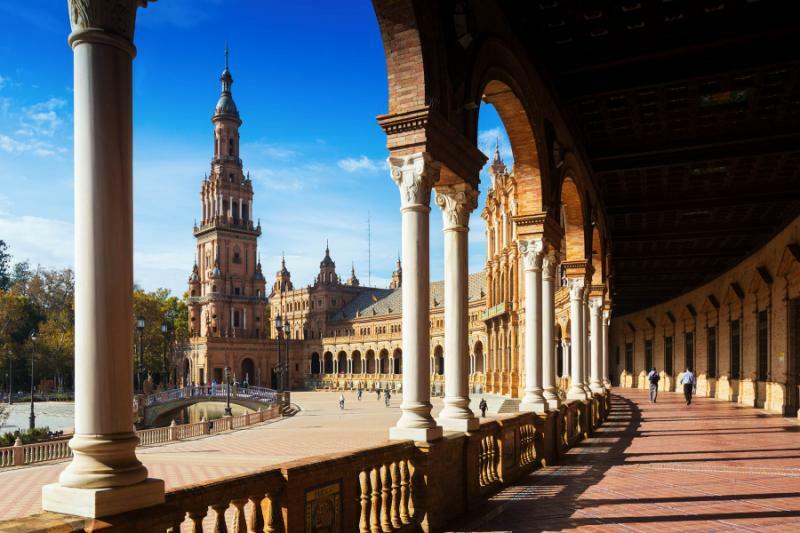 Arrive in Seville, and the sights grab your attention, then spend two days where the personality of the city takes over, so seductive, so demanding that you come along for the ride. This is an immersive city, one that you cannot watch from the sidelines, and must encounter in all its glory. Embrace the feeling of fiesta, sample the vibrancy of the cuisine, and take in the charisma that is etched into all the city streets. On day seven, you have a free morning and afternoon to get fully involved, so many feelings arising from a day of exploration. 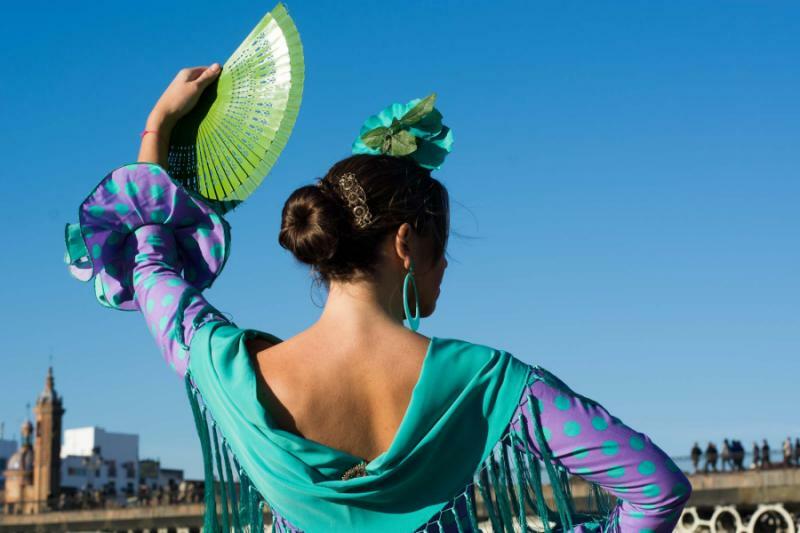 Perhaps these are best summed up by an evening of flamenco, the art form that comes from and symbolizes the city, so sporadic and charismatic as it carries you away. You will spend the night at a traditional performance, with dinner served during the break and a selection of fine wines paired with twirling dresses and soporific singing. Cordoba is a city made for a bicycle, where the narrow streets of the ancient Jewish and Muslim quarters stretch out like a spider’s web from the Mezquita, one of the world’s finest buildings. Arrive here on the train, and you will have a relaxed morning of pedaling, stopping at aristocratic casas (houses) that open onto lush patios, freewheeling along riverfront streets dominated by cafes, and taking a look at peaceful lanes from what was once the world’s most cultured city. This was the long-time capital of Islamic Spain, and the sophisticated beauty of design is found everywhere. The only challenge is remembering what has come before after you step beneath the multiple arches of the Mezquita, a mosque and cathedral in the grandest of styles, and a building of such detail that it is impossible not to feel humbled. Later in the afternoon, you will continue your journey through the ten cities of Spain, taking the high-speed train to Madrid for a tranquil night in the capital. You move on to the capital, a city that comes as a surprise to many. There is little bustle, no chaos, and no gloomy faces on the subway. 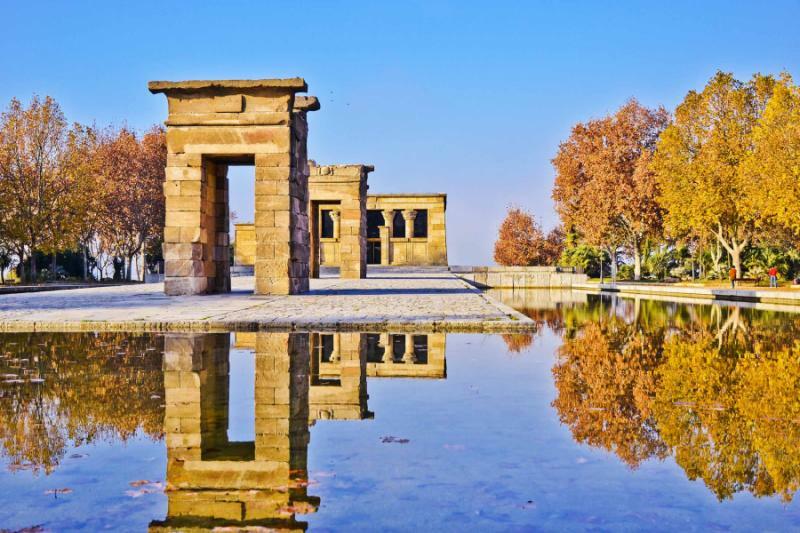 Madrid runs at a laid-back pace, and for all the sights and sounds, it is the atmosphere that you really remember, the chance to explore a modern capital city almost entirely on foot. 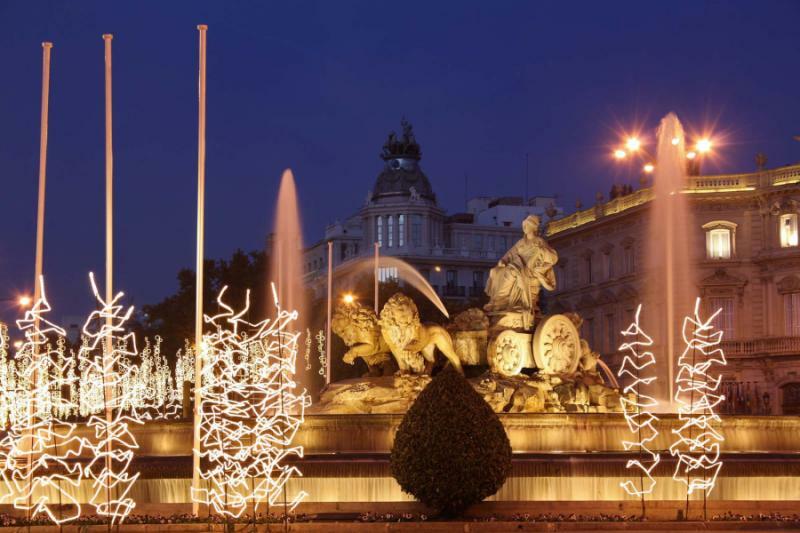 Three outstanding art museums are a highlight, and you have time to visit one or two, dependent on the interest; the Prado, Reina Sophia, and Thyssen-Bornemisza have incredible originality, it is just a question of which artistic centuries and styles you prefer. Also, on this city tour is the Royal Palace and Cathedral, the extravagance of a regal history playing out in dozens of ornate rooms and corridors. Complete the day immersed in the atmosphere, trying out the flavors of tapas bars that have very individualized local favorites, skillfully selected by your guide. Avila’s city walls glisten in the morning sun, whitewashed and imposing as they stand on the plains of Castilla y Leon. They are complete, a legacy to the 11th century that has been preserved magnificently. This World Heritage City is completely encased by the walls, an ode to the time of kingdoms and medieval battles on Spain’s central plains. Avila is halfway to Salamanca, and you only need a total of 90 minutes on the high-speed train today, leaving Madrid in the morning and arriving in Salamanca for a late lunch at an exceptional little tapas bar on the edge of the old city. The rest of the day is at your leisure, and it is worth taking a look at the sculpted faces that mark most of the old town buildings. Salamanca’s Old Town is almost monotone, a reddish-gold stone hue that gives every building a certain uniformity. Most of them feature sculpted faces, immortalized figures from history that look down at you as you wander past. Look closely, and you will see everything from an astronaut to a roll-call of all the Spanish kings. Beyond the color, there is a demand for the unique, each structure presenting a design from a specific time. Discover grand Renaissance monasteries, the splendor of the Baroque Plaza Mayor, skulls and Greek gods marking the facade of Spain’s oldest university, and a Gothic cathedral encasing an original Romanesque cathedral. 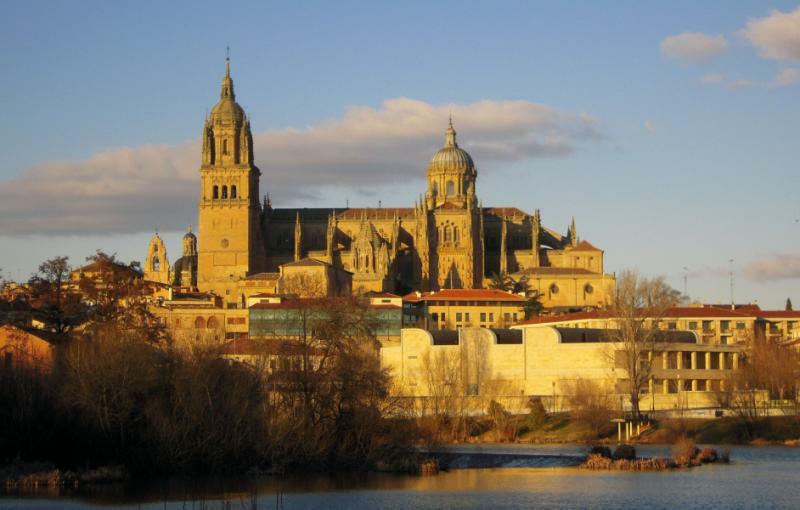 Salamanca has flourished for nearly 2,000 years, and its wealth is shown in a contrast of design. Rather than being a city frozen in time, it is a city that showcases a dozen different times. Take a private morning tour, then enjoy a relaxed afternoon in the Old City, another of the World Heritage Sites you are staying within on this itinerary. Segovia, by contrast, is a city of two distinctive times rolled into one. A remarkable Roman aqueduct meanders through the heart of the city, the past presented on a baffling scale. The terraces and restaurants of the center reflect the contemporary tastes of Spain. It is a strange juxtaposition but one of complete harmony found just over an hour away from Salamanca on the high-speed train. You have most of the day to explore, an introductory walking tour followed by a free afternoon, before a guided evening of fine tapas. Segovia is one of the best destinations in Spain for eating well, and the sumptuous dishes are washed down by local Ribera del Duero wines. Take the first-class morning train to Madrid where you are greeted at the station by a guide for a day that can be customized to your interests. Culture, history, and sights may be on the agenda, but you may choose to spend some time on the relaxed terraces and dining. Enjoy day-room use of a hotel close to the airport for freshening up before your evening international departure. "Excellent guides, drivers, hotels, restaurants, day trips..."
"This was an absolutely perfect trip. All arrangements were excellent."